How to test Tails 3.0~beta1? 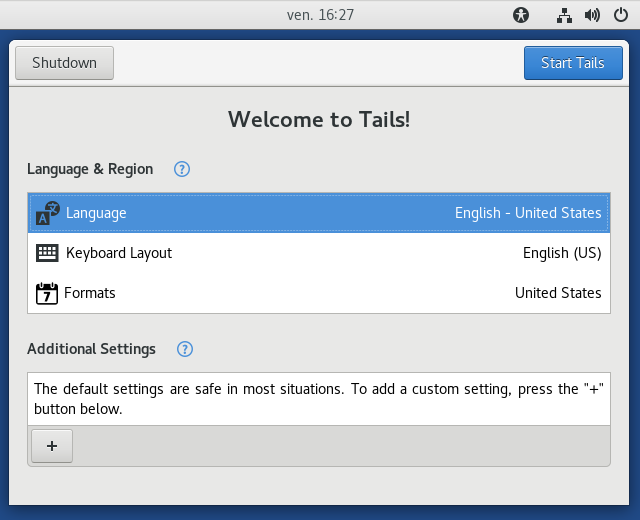 Tails 3.0 will be the first version of Tails based on Debian 9 (Stretch). As such, it upgrades essentially all included software. A 64-bit processor is now required. We redesigned Tails Greeter entirely. GNOME Shell is now configured to use its default black theme. We fixed a lot of problems since Tails 3.0~alpha1. We will provide security updates for Tails 3.0~beta1, just like we do for stable versions of Tails. But keep in mind that this is a test image. We tested that it is not broken in obvious ways, but it might still contain undiscovered issues. To install 3.0~beta1, follow our usual installation instructions, skipping the Download and verify step. The documentation was not adjusted yet. The Formats settings chosen in Tails Greeter have no effect (#12079). There is no Read-Only feature for the persistent volume anymore; it is not clear yet whether it will be re-introduced in time for Tails 3.0 final (#12093). Some commonly used ways to start graphical applications as the root user are not supported anymore. Some workarounds are documented on #12000. If you use the KeePassX persistence feature, you need to manually import your passwords database (#10956). Some command-line programs (at least Monkeysign, Git, and wget) display confusing error messages in the Terminal, although they work fine: #11736, #12091, #12205. I2P fails to start (#12108). Note that the I2P feature has not been maintained in Tails since more than a year, so I2P may be removed in Tails 2.12 if this problem is not solved soon.